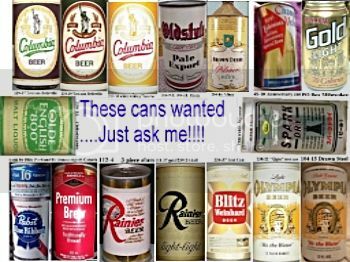 Pic 2: 40-25 looks like this can but is it the keglined version or the CCC version? They are both slightly different color wise. Pic 3 1-40-27 my can has no CCC on it (dark blue) and the other one is an unlisted light blue version. here is the one and only Michigan 11oz can. I got this from a non-collector. He said it was found in a vacant house someplace in Michigan.